Cyspt ransomware should be removed ASAP if you want to save some of your files. If you are infected with this threat, eliminate it immediately and perform data recovery steps! Cyspt ransomware, first discovered by MalwareHunterTeam, appears to be very familiar to an old cryptovirus called AresCrypt. Some researchers have even speculated that it is the same virus which has just been acting under a different name. This malicious program can infiltrate the system via infected files or hyperlinks. After a secret invasion, Cyspt virus performs the encryption process and adds the .OOFNIK extension to each document. Furthermore, the victim receives a message which announces that “Cyspt has locked your PC!! !” and claims that the only way to recover files is paying $40 (what a ridiculous price having in mind ransoms asked by other ransomware viruses) in Bitcoins to the developers. The cybercriminals have been using cysptcc@gmail.com email address as the main way to contact them. According to them, if no contact is made within three days, encrypted files will be permanently lost. 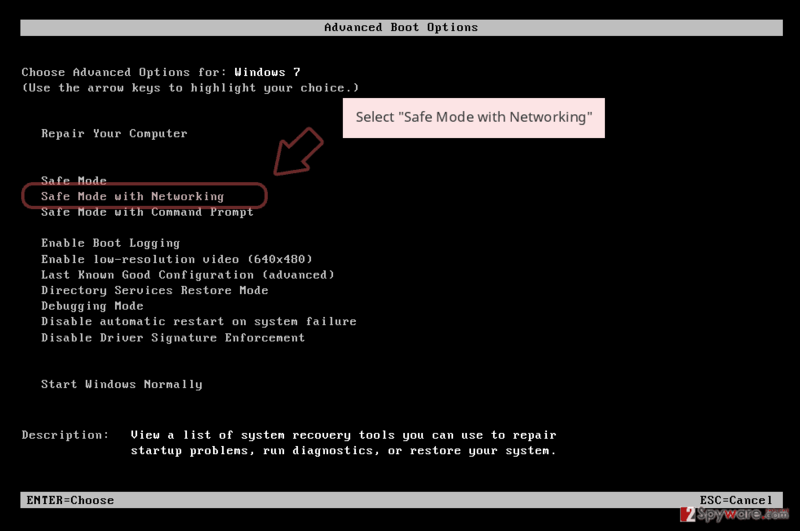 Use Reimage to determine if your system is infected. Warning: the anti-virus software does not recover encrypted files! Even though the urged price might look very funny, crooks have been threatening their victims that the ransom will rise if there will be a 24-hour delay. However, no matter that the ransom price is not big, we still recommend avoiding contact with the Cyspt ransomware developers. There still is a risk of getting scammed, and we guess that you do not want money loss, even if we are talking about the small amount of money. In most of the cases, criminals have been urging for cryptocurrency transfers such as Bitcoin, Dash or similar cryptocurrency. Such payments do not require any particular details and let the entire process to remain anonymous and uncaught. So, as you can see, the crooks have all the conditions to carry out their illegitimate activities further. Remove Cyspt virus and do not let these people benefit from you. After you are done with the Cyspt ransomware removal, you should find all malicious content that might be hidden in your system. Such viruses can leave various harmful files and launch unwanted processes behind your back. We recommend using Reimage to scan your computer and detect anything related to malware. However, feel free to use another tool if you are like. Cyspt ransomware uses unique encryption codes such as RSA, AES, or SHA, to lock up documents that are situated on the infected machine. After encryption, crooks store all unique keys on remote servers which makes them hard to identify. However, that does not mean that file recovery is impossible. We have provided some methods that should be helpful after losing files below the text. After you do everything to get rid of Cyspt ransomware, make sure you prepare your computer and files that are kept there for the future. Install reliable antimalware to avoid other possible infections. Furthermore, gather all important data and copy it to somewhere safe, for example, and cloud, external hard drive or a simple USB drive. Here, you will be the only one to access that information. According to tech experts, ransomware is mostly spread via infected files or links which come together with a rogue email message. Do not open any suspicious-looking letters if you want to avoid possible danger. Some crooks pretend to be from reliable organizations, however, you still need to consider – were you expecting to receive anything lately or were you not. not downloading any anti-malware tools from untrusted websites. Keep in mind that the Cyspt ransomware removal should be performed automatically only. The manual technique is not possible for this case as the infection might be too hard to eliminate on your own, especially for less-experienced users. Nevertheless, these cyber threats are very likely to leave many malicious components, files, and other objects in the system. Log in to your infected account and start the browser. Download Reimage or other legitimate anti-spyware program. Update it before a full system scan and remove malicious files that belong to your ransomware and complete Cyspt removal. 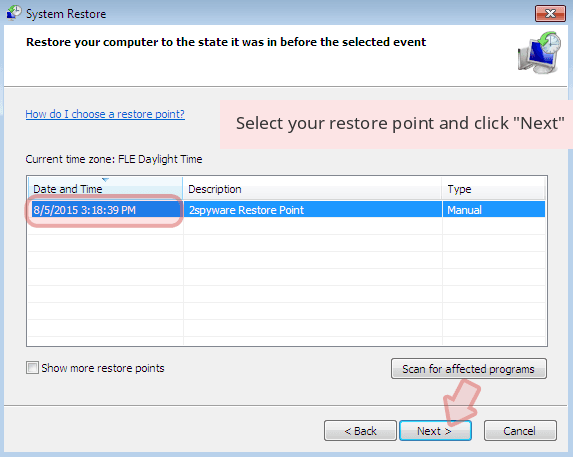 When a new window shows up, click Next and select your restore point that is prior the infiltration of Cyspt. After doing that, click Next. 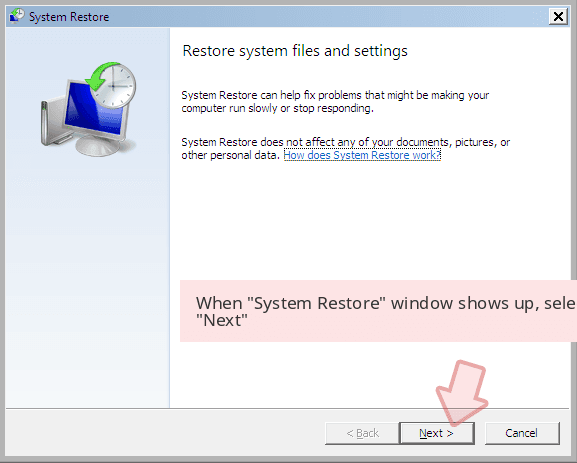 Once you restore your system to a previous date, download and scan your computer with Reimage and make sure that Cyspt removal is performed successfully. 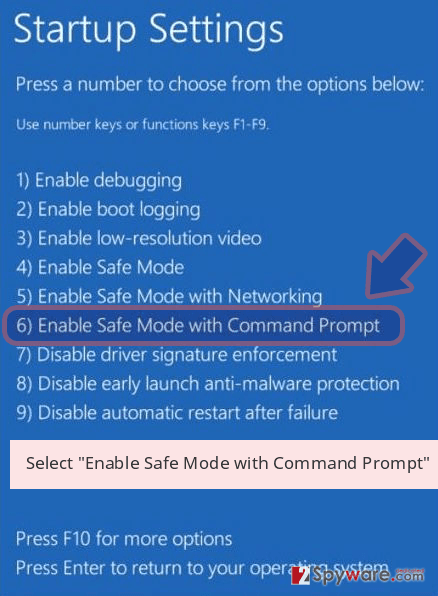 Guide which is presented above is supposed to help you remove Cyspt from your computer. To recover your encrypted files, we recommend using a detailed guide prepared by 2-spyware.com security experts. 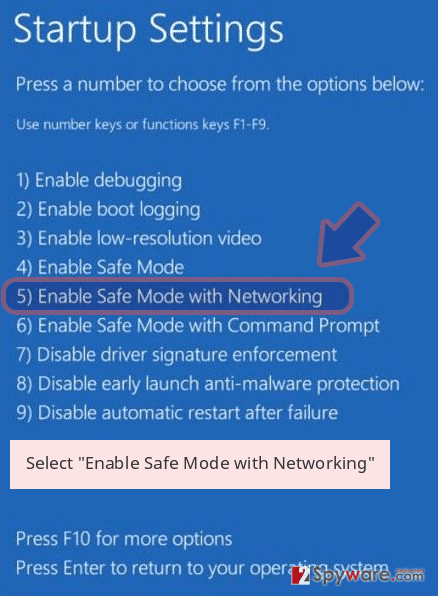 Try the following methods and restore your data. This method is definitely a better option than paying the demanded price. Give it a try and perform each step as shown in the instructions. 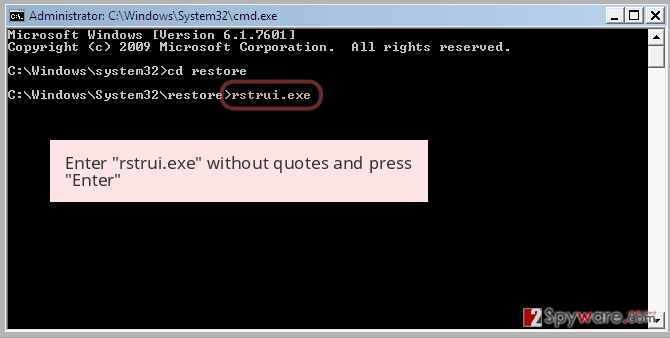 Give this tool a try if you are keen on restoring some files which were encrypted during the cyber attack. Use this method to recover files that were blocked by the ransomware infection. Just keep in mind, that this method might not work for data which had its Shadow Copies damaged. ^ ZonderVirus.nl. ZonderVirus. Virus info. This entry was posted on 2019-01-27 at 09:56 and is filed under Ransomware, Viruses. You can quickly scan the QR code with your mobile device and have Cyspt ransomware manual removal instructions right in your pocket. 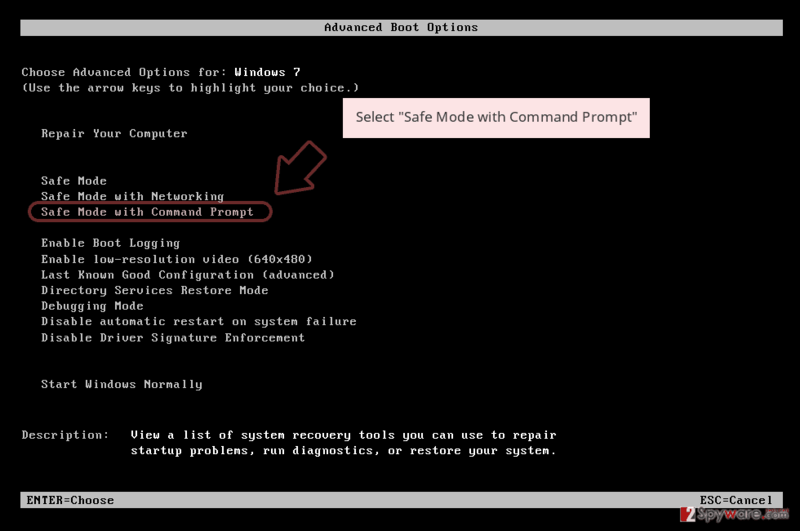 How did you remove Cyspt virus?